The Summer Cheer Camp is open to all students. Cheerleaders interested in trying out for the 2019-2020 Competitive Squad must attend the camp. Tryouts will be held on Tuesday, June 11th. This predominant American past time has evolved from merely standing on the sidelines and cheering for your favorite team to a highly competitive and energetic form of art, dance, and performance. will incorporate those elements into choreography and music. Available to students ages 6 + with no previous cheer or dance experience required. Add an Acro class to take your cheer to the next level. 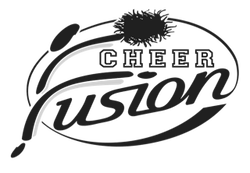 Our goal is for each athlete to learn what it is to be a TRUE Cheerleader inside and out! We want our athletes to progress throughout the season & have fun while doing so. individual development (i.e. tumbling and pom) as much as team development (i.e. stunting, pyramids). Your child can feel pride in learning a skill completely on their own and at the same time learn the invaluable lesson of depending on their teammates to reach a goal.